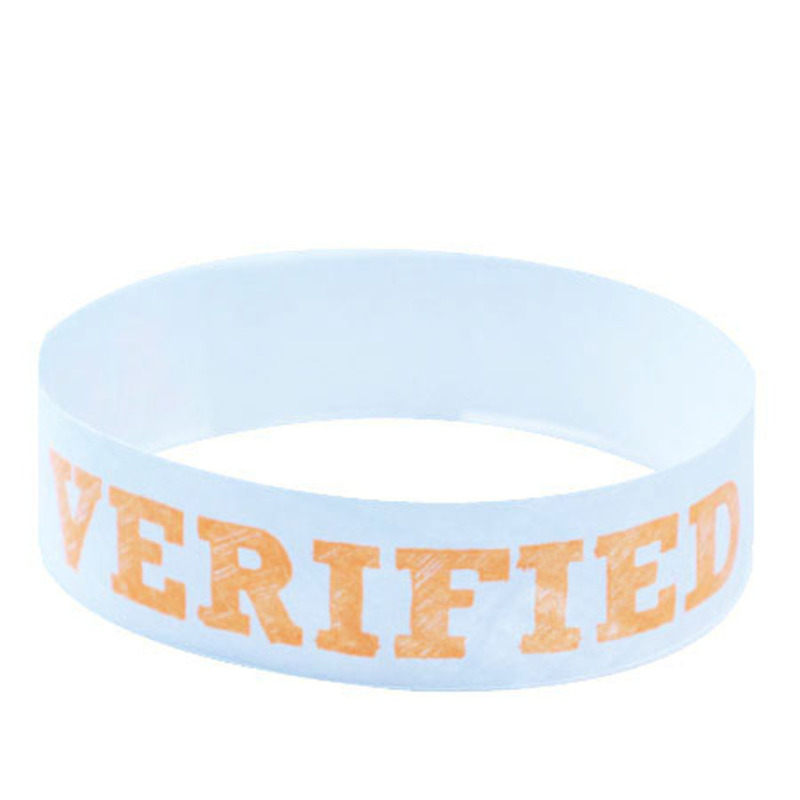 Tyvek wristbands with the words 'Age Verified' printed on them in bright orange ink. Very easy to spot. If you need to verify your guest's age has been checked at any event, be sure to give them one of our orange 'Age Verified' wristbands upon entry into the venue/event. These Tyvek wristbands are a great way to identify which guests are of legal drinking age at any bar, restaurant or club.